…Okay, so much has been written in the news about companies doing away with performance ratings. GE is probably the most famous company to make this change. But companies such as Microsoft, Dell, Adobe, Deloitte and Accenture have also (somewhat less famously) recently re-designed their performance management process, eschewing the formal annual review + rating in favor of more ongoing feedback and check-ins. The articles I linked to above all have different views on the efficacy of replacing annual, formal review programs with more infrequent and informal fare… and to be sure companies have had varying degrees of success (and failure) with said implementations – often measured internally through employee feedback surveys and other experience data. Some of it has even been published online. But I don’t think that before yesterday I’d seen any large scale survey research that aggregated company experience data to quantify the value proposition companies are realizing (or not) from this performance management shift in the form of talent differentiation and productivity outcomes. Fortunately, I stumbled upon a great white paper from the folks at USC CEO here that did just this. Surveying 244 different organizations, USC CEO looked at three trending performance management process changes – namely the introduction of ongoing performance feedback, ratingless reviews of performance, and crowd-sourced feedback – and their effect on the way that employees were rewarded and the impact on their development. ^*80* percent of respondents are saying that shifting their performance management process to a more informal/less cyclical format has improved development outcomes for employees, which is exactly what a good performance management process is supposed to do. 2/3rds of companies also report that top employees are being more appropriately rewarded, with real differentiation between poor, average and good performance that (based on the data) is reinforcing the behaviors merit/reward pay should be reinforcing. Again, developing good performers into great performers is what this is supposed to be all about. And that’s what 4 in 5 are getting out of this change. ^Again, 80% of the companies responding are – on some level – trusting and empowering their managers to make merit/reward decisions without meddling. And it’s working. Only 21% of employees say they are less clear about how they’re performing, with 62% saying that they feel pay decisions are more transparent (see exhibit #1 above). Much has been made about the subjectivity of a ratingless system… but most employees seem to prefer them and feel that they more accurately capture their value. Having transitioned away from the rating scale and annual performance discussions in favor of no ratings + ongoing feedback with my own teams years ago, this data jives with my own experience and wasn’t much of a surprise. Still, it’s good to see some survey data coming out supporting what most people managers already know: If you have frequent, candid conversations with your people about what is expected and reward them appropriately, most of the time they will improve their performance (and be more engaged). …Anyway, that’s all I’ve got for today. Check out more research at USC CEO from Ed Lawler here, and as always let me know what I got wrong (or right – positive feedback is appreciated!) in the comments section below. P.S. Has anyone tried crowd-sourcing feedback yet? 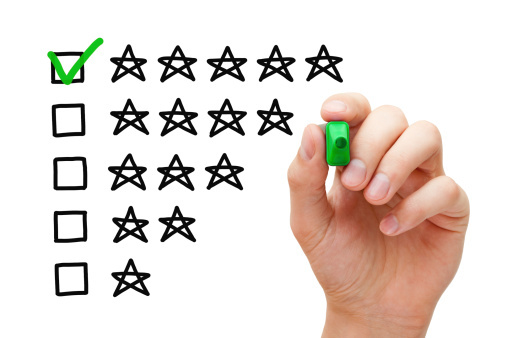 Approximately 80% of the companies surveyed here had moved to ratingless reviews, while (I suspect) a much smaller number have started crowd-sourcing feedback as part of the performance management process. It is a novel idea, but I think you really have to have the right culture for this to work. What that culture looks like? I don’t know. Please share your own experiences etc. So merit increases in the U.S. are projected to be around 3% in 2014. Looking at the range around these increases, top performers will be receiving increases of about 150% beyond what average performers receive. In practice, with the median income of a college educated person in the U.S. being roughly 43k, this means we’re talking about $645 a year before taxes.or approximately $54 extra dollars a month for top performers. This isn’t really meaningful pay differentiation, is it? Considering that human performance does *not* in fact fit a normal distribution (top performers in an organization are responsible for the majority of output while most workers are below average), organizations have got to do a much better job of creating differentiation between superstars and median performers. This is easier said than done, though. Merit increases quickly become entitlements, and when the market is doling out increases as if workforce performance fits a Gaussian distribution it is difficult for any one employer to buck that trend. 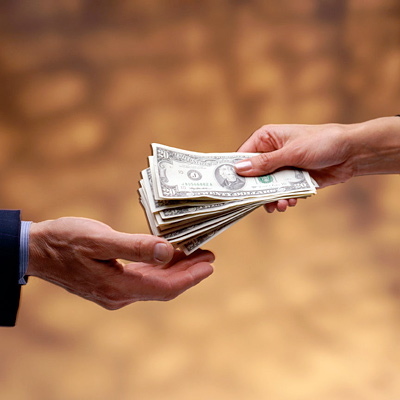 …With this in mind, lately I have some energy around setting aside a percentage of the money intended for merit every year, and instead allowing managers to allocate it out to top performers in the form of a spot bonus: This is a one time bonus that a manager can give to direct reports performing at an exceptionally high level. I like the spot bonus because in addition to keeping salaries down by paying out as a lump sum money that otherwise would have been allocated as a permanent 1. Permanent increases compound on themselves year over year (adding considerable fixed expenses to an organization’s operating costs).increase 1, the spot bonus more closely aligns pay with performance and creates a trigger in employee’s minds directly aligning exceptional performance with extrinsic reward. I dunno… just a thought. 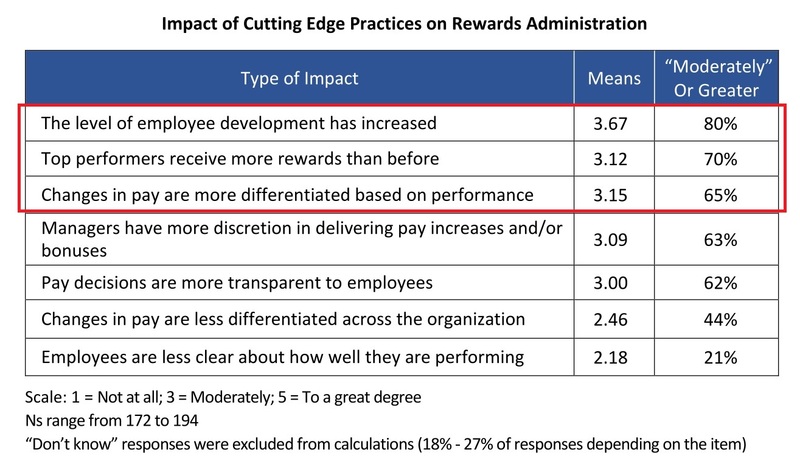 Some of the top of mind strategic questions here are how much of the merit budget do you set aside for spot bonuses (if the market is paying 3% at median how much can you shave off the top before impacting morale? ), and what (if anything) do you communicate about the change to employees? 1. Compensation Consultant Ann Bares writes a great post on the value of pay-for-performance in retaining high performers across an enterprise. I’m a big fan of data, and this one links to a great study. Read it here. 2. 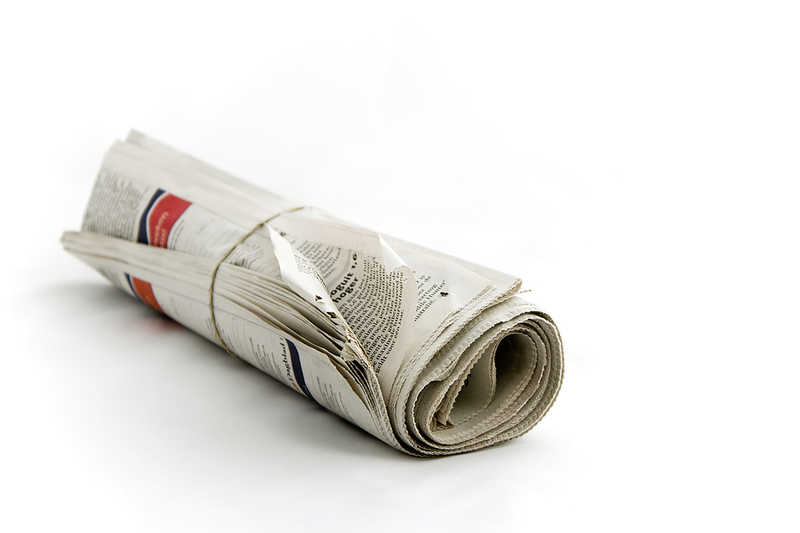 Executive Compensation guru Dan Walter shares a fantastic piece on biases in the media as it concerns coverage of executive compensation. There is a fixation on Fortune 500 CEOs whenever stories are done on executive pay. 1. The evidence would suggest they are.Setting aside the question of if pay within that population is fair or not 1, however, stories focusing strictly on that group ignore the reality that there are roughly 400,000 CEOs in America (most of which are paid well under the 10s of millions cited by the media when declaring executive pay out of control). Check this post out for a different (and might I add informed) perspective on CEO pay. 3. I want to close with this Compensation Cafe piece focusing on the lump sum to reward high performing employees. When budgets are tight (or a strong performer is at the top of his / her pay grade) the lump can be a great recognition tool. Lump sums (instead of increases) are often difficult for employees to swallow, but as the post points out (once accounting for present value of future cash flow) they don’t cost anywhere as much as percentage increases to pay out. In a tough economic environment something is better than nothing, so if you’re looking at nothing this year the lump may be worth considering if you have something in your budget. As always, please share your thoughts in the comments below.